Keyboard players are a perfect choice for events of all types from corporate and community events, to birthday parties and weddings. They can provide a variety of sounds and styles of music. Electronic keyboards can synthesize unique sounds and multiple instruments, making it a great substitute for a full sized band. Keyboard players can provide a similar service as a piano player, but offer the convenience of portability that you can't get with a baby grand or upright piano. 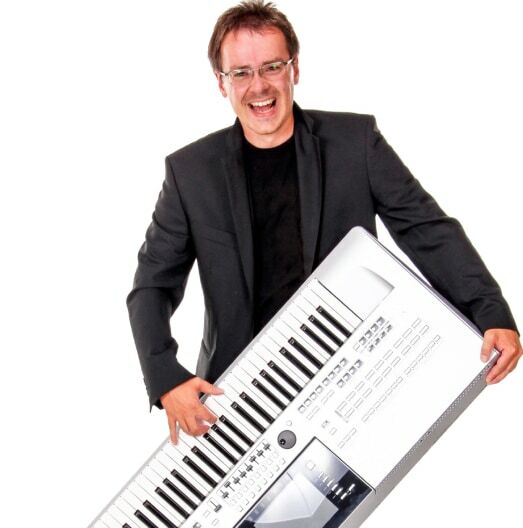 Search for Keyboard Players in Trois-Rivieres, Quebec above. Please note that these Keyboard Players may also travel to Sainte-Ursule, Saint-Prosper, Saint-Louis-de-France, Trois-Rivieres-Ouest, Cap-de-la-madeleine, Sainte-Marthe-du-Cap, Pointe-du-lac, Montauban-Les-Mines, Saint-Etienne-des-Gres, Saint-Maurice, Notre-dame-du-mont-carmel, Mont-carmel, Wolinak, Becancour, Nicolet, Shawinigan-Sud, Almaville, Yamachiche, Saint-barnabé-nord, St-Barnabe-Nord, Saint-Boniface-de-Shawinigan, Grand-Mere, Shawinigan, Saint-Celestin, Annaville, Grand-Saint-Esprit, Sainte-Monique, Champlain, Champlain, and Saint-Leon.